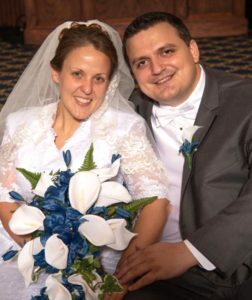 Angela M. Grate and Matthew R. Heim were united in marriage on Dec. 29 at Martin Luther Lutheran Church in Youngstown. Pastor Pete Fowler officiated. 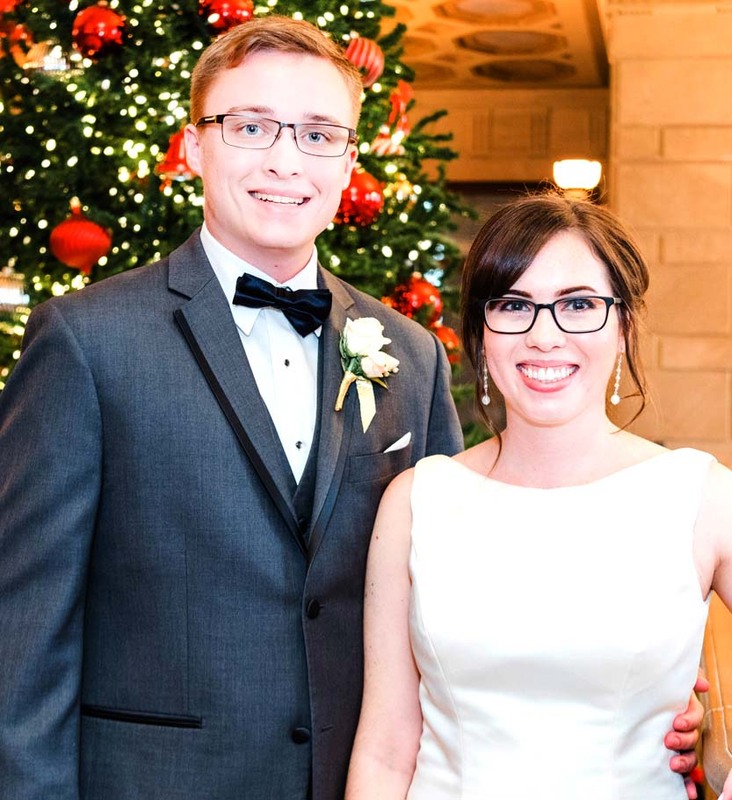 A brunch reception followed at Stambaugh Auditorium. C. Sam and Debra Grate of Salem are the parents of the bride. 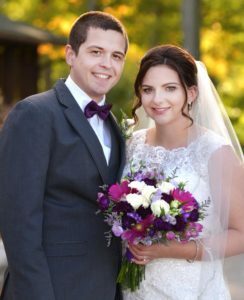 The bridegroom’s parents are James and Laurie Heim of Lake Orion, Mich.
Valerie Williams, the bride’s sister, was the matron of honor. Bridesmaids were Dana Looker, Courtney Wagner, Kayla King, and Kristin and Leighann Heim, the bridegroom’s sisters. They wore long navy dresses and carried blush bouquets. Joe Vercellino served as best man. Groomsmen were Dominic Williams, the bride’s brother-in-law; and Ethan Keenan, Mark Bartus, Jacob Corll and Jeremy Fieber. 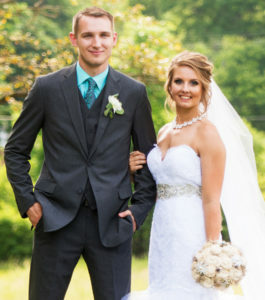 The bride graduated from Capital University with bachelor’s degrees in political science/economics and English. She is a second-year law student at Emory law school in Atlanta, Ga. 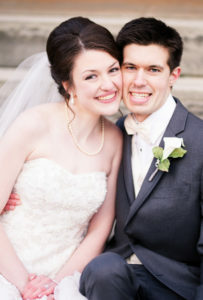 Her husband graduated from Capital University with a bachelor’s degree in music technology. He is employed as an audio visual trade show technician at Bright Pope in Atlanta. 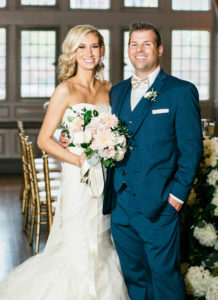 The couple honeymooned in Punta Cana, Dominican Republic, and reside in Decautur, Ga.